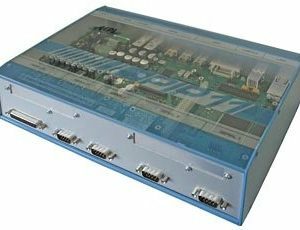 The MAXBES comes with 8-ports 1Gbit and 2-ports 10Gbit speed. The eight 1GBit ports are either available as eight RJ45 copper ports or four RJ45 copper ports and four 1GBit SFP. The open frame version also offers lockable headers instead of RJ45. All ports have status LEDs, indicating the activity and speed of each port. 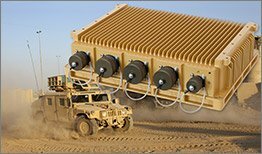 The MAXBES solution is extremely compact and can also be used as open frame solution or in a MIL housing with connectors of your choice. Supply power is 8-36VDC and uses less than 15W. The product can be operated at -20°C to 60°C and optionally even up to +70°C. 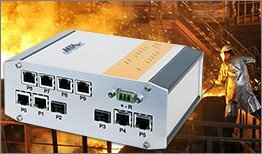 These features make the MAXBES ideally suited for any rugged or industrial network applications. 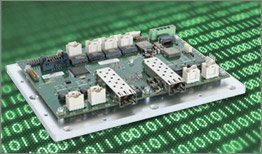 Due to the low power consumption, robust and flexible design, the products are well suited for any embedded system. It is the perfect fit, whether they are used in a rugged, hot or other harsh environment. 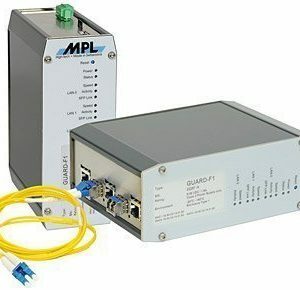 The MAXBES makes it easy to set up a challenging network! 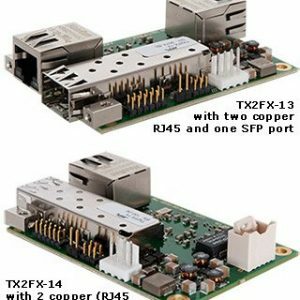 In addition to the MAXBES switches, MPL provides a copper to fiber Ethernet Media converter, called TX2FX.